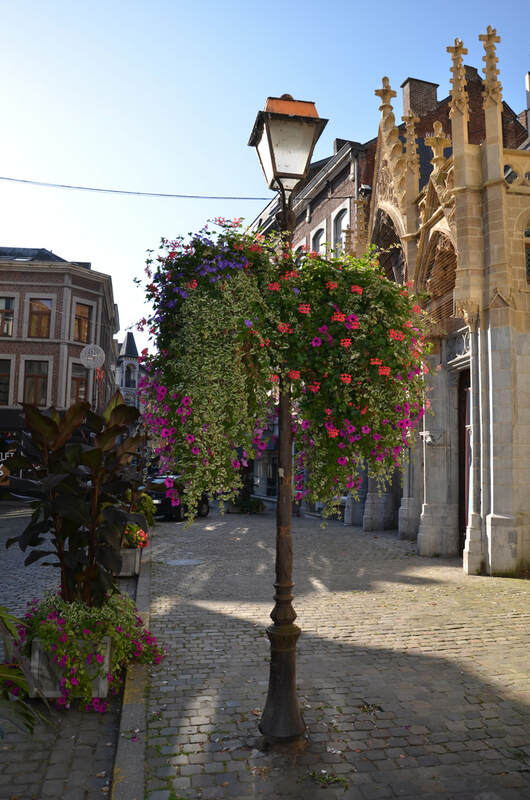 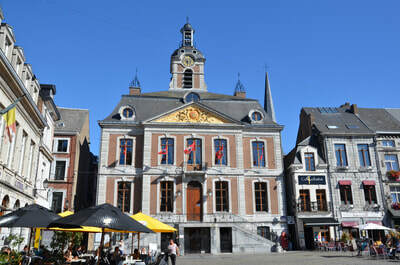 is a small city in central-eastern Belgium, situated in the picturesque bend of the river Meuse. 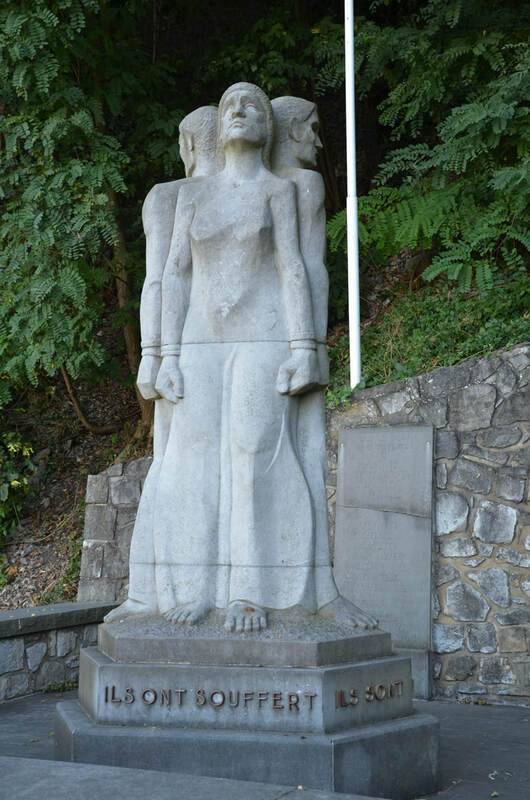 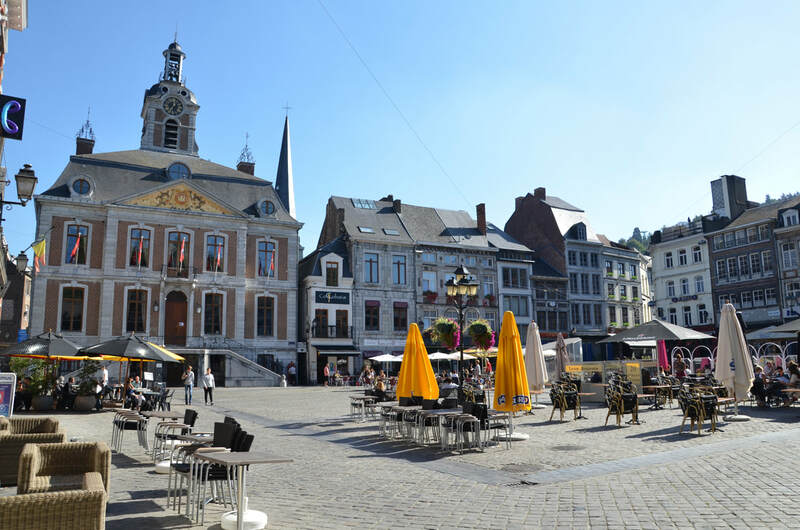 Because of its rich past, which makes it one of the oldest cities in Belgium, Huy is an important point on the tourist map of Wallonia. 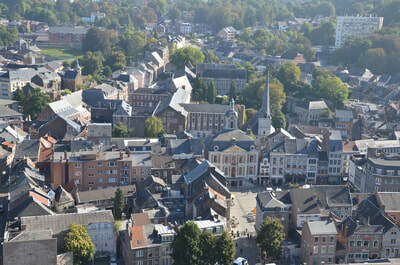 There are Gothic churches, Renaissance houses, the town hall, and a powerful 19th-century fortress dominates the city. 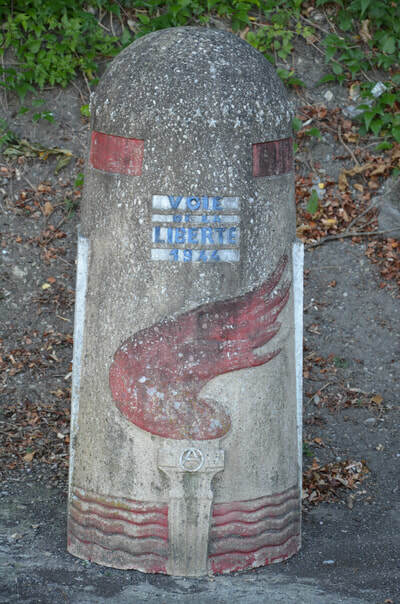 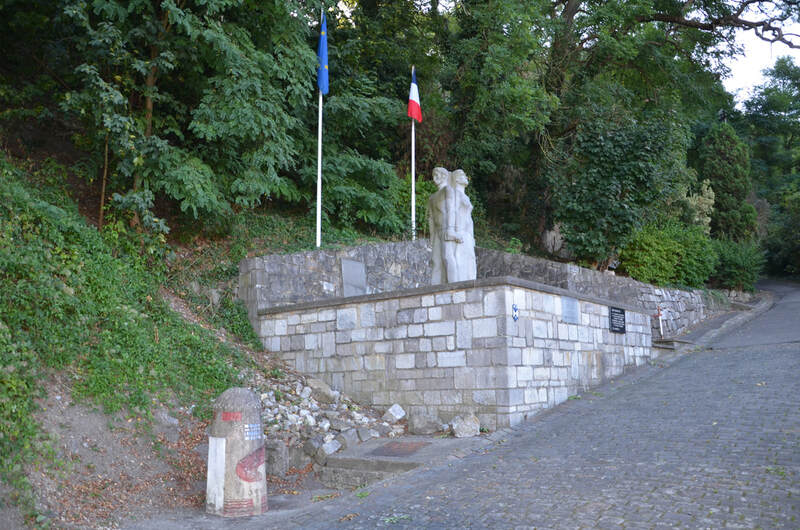 In the year 1066 Huy residents receive the Charter of Freedom, the first north of the Alps. 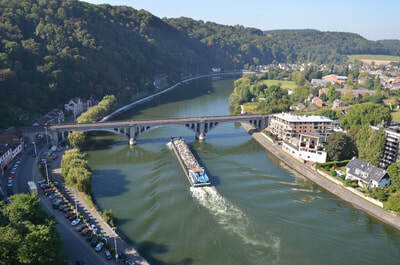 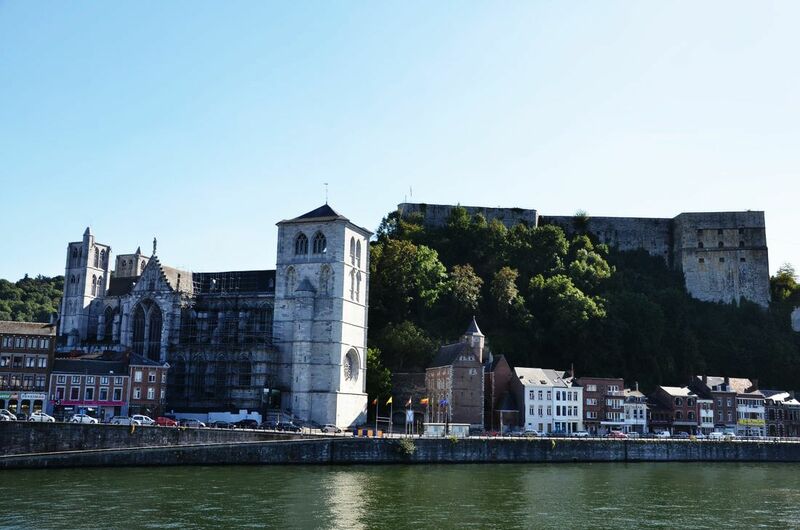 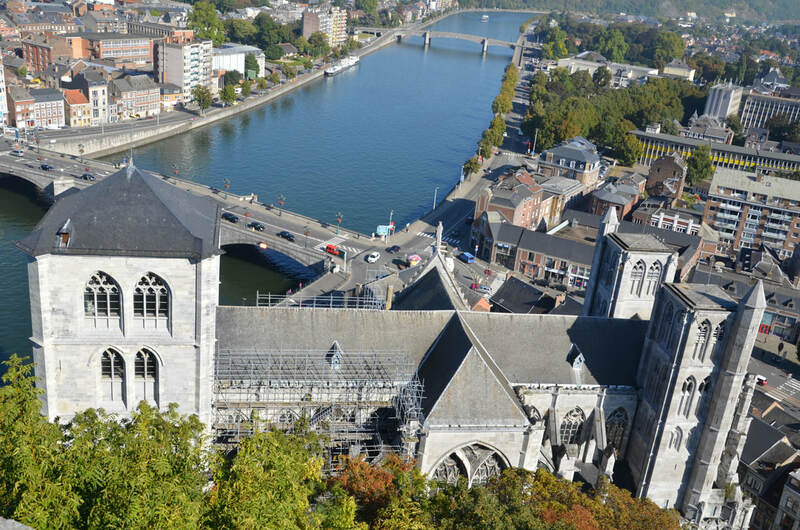 The first settlement was built during the Roman Empire, as a fort on the right bank of the Meuse River. 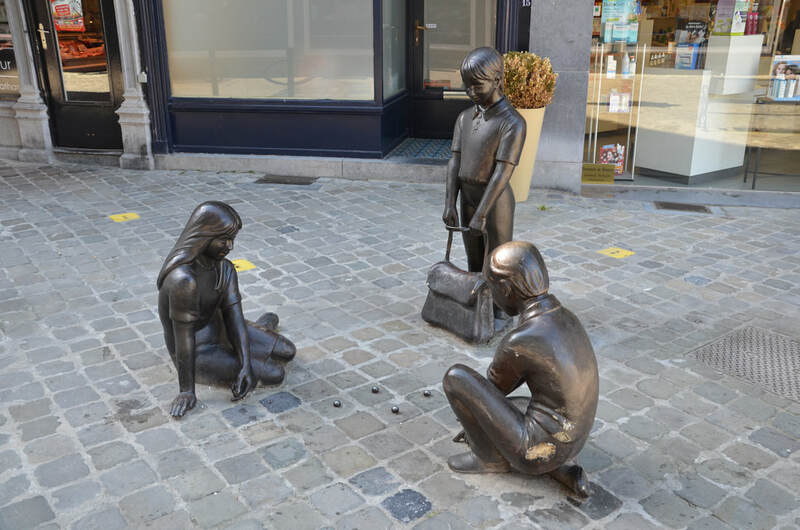 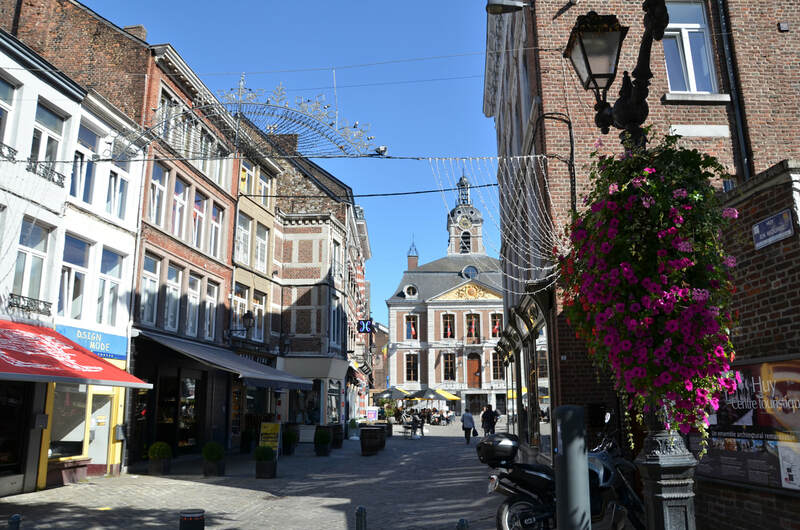 In the 6th century, the villagers were evangelized by Saint Domitian, Bishop of Tongeren-Mastricht, who was elected the first saint patron of the city. 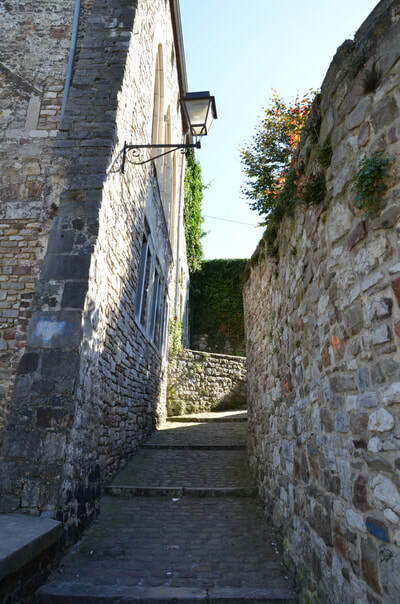 From the 9th to the 11th century, Huy was one of the most prosperous cities located on the Meuse. 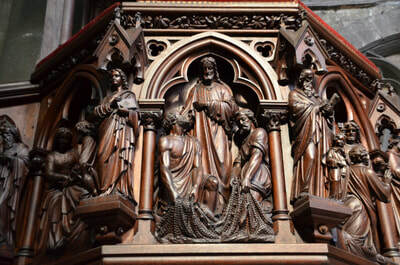 His thriving economy was based on metallurgy, tanning, sculpturing, carpentry and winemaking. 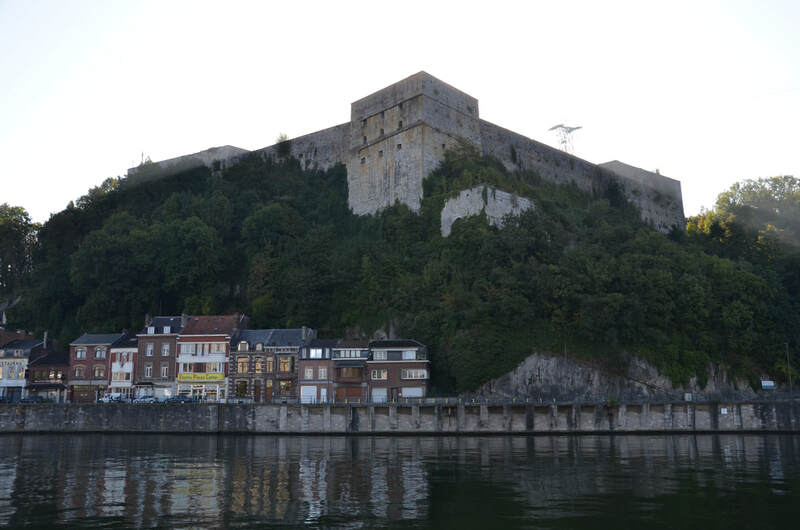 In 890 year Huy appears for the first time in official documents thanks to his medieval fortress Tchestia. 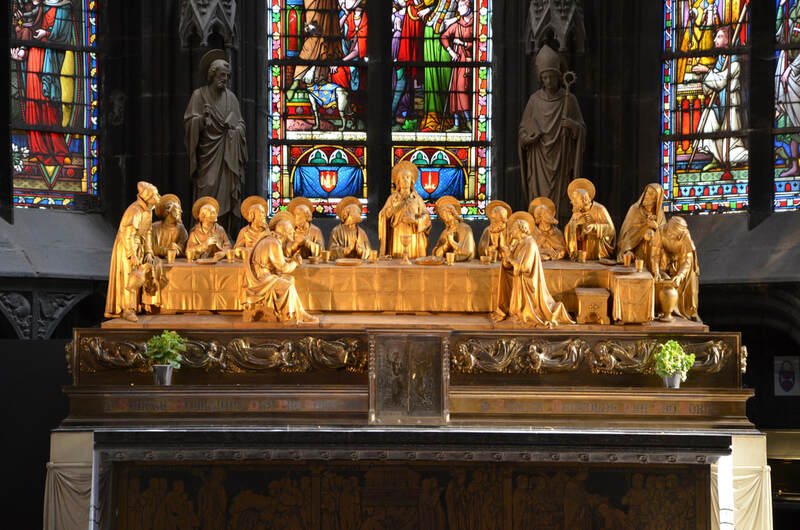 In 943 year Otto I, the King of Germany, gives the city the status of a county. 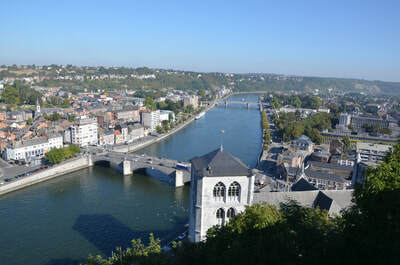 In 985 year, Huy, for more than eight centuries, became part of the Duchy of Liege. 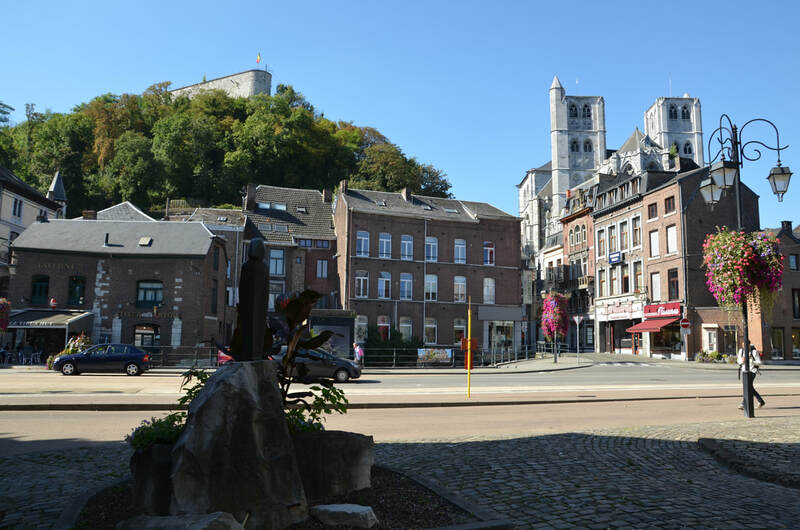 In 1066 year, Huy's residents received, from the Prince-Bishop Liege-Theoudin, the Charter of Freedom, the first north of the Alps. 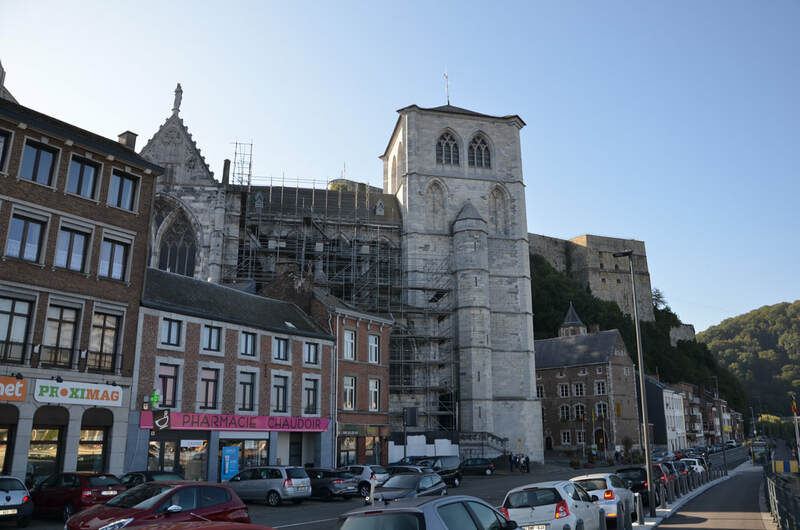 In the 12th and 13th centuries, cloth production was the basis of Huy's economy. 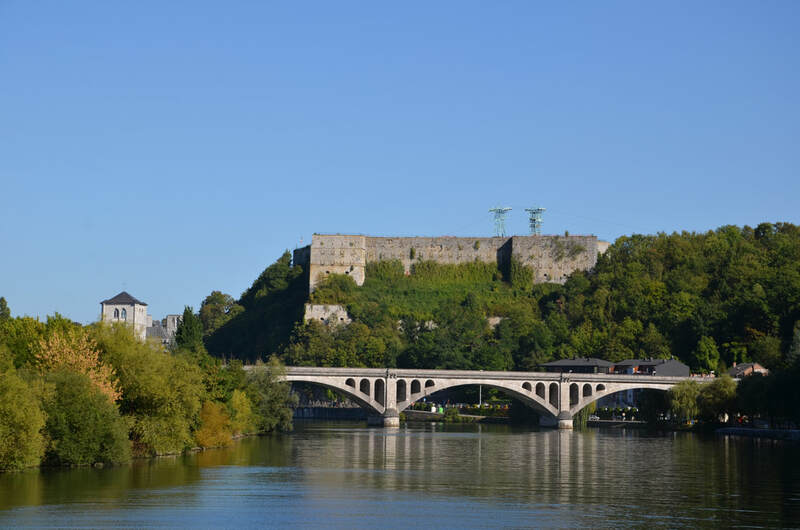 Because of its strategic location on the Meuse, the city was an arena of conflict between France, Germany, the Netherlands and the principality of Burgundy. One of the most spectacular events was the siege of the city in the 1689 year, during which about eight hundred houses were destroyed. 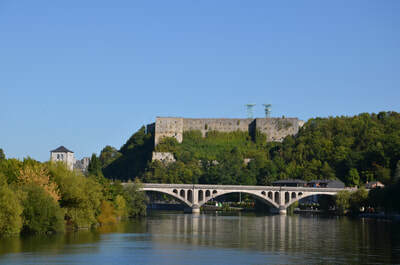 In 1715 a year, residents frustrated by the constant struggle dismantled the castle of Tchestia. 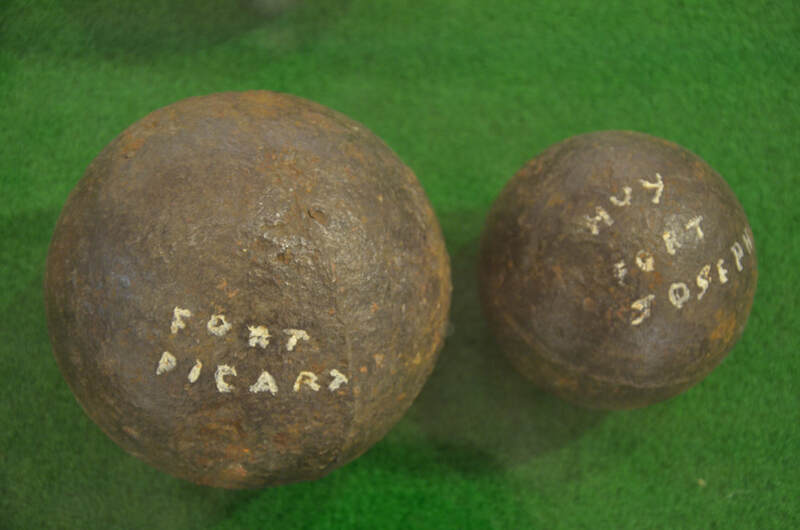 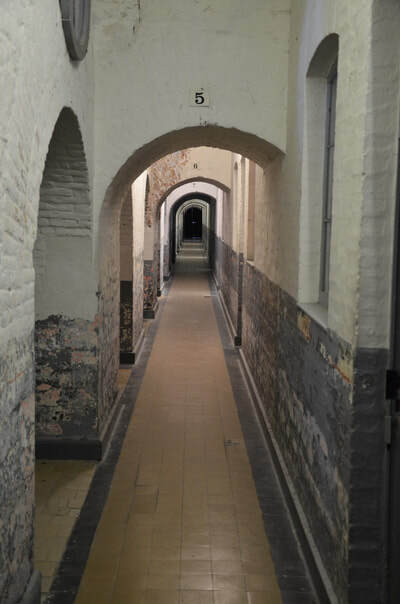 In 1818 a year, on the orders of William I, King of the Netherlands, a new fort was built, which became an arena of heavy fighting during both World Wars. Over the centuries, there were several churches in the place of today's collegiate church. 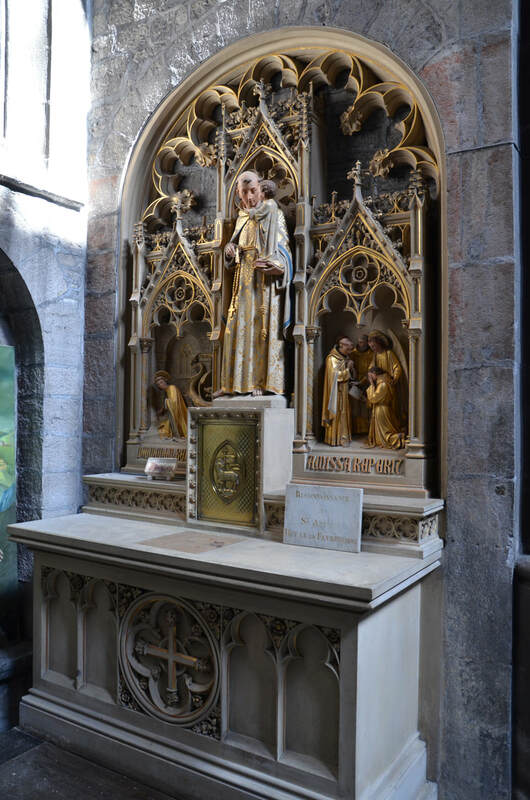 Starting from the wooden, built in the fourth century, a sanctuary dedicated to Saint Materne. 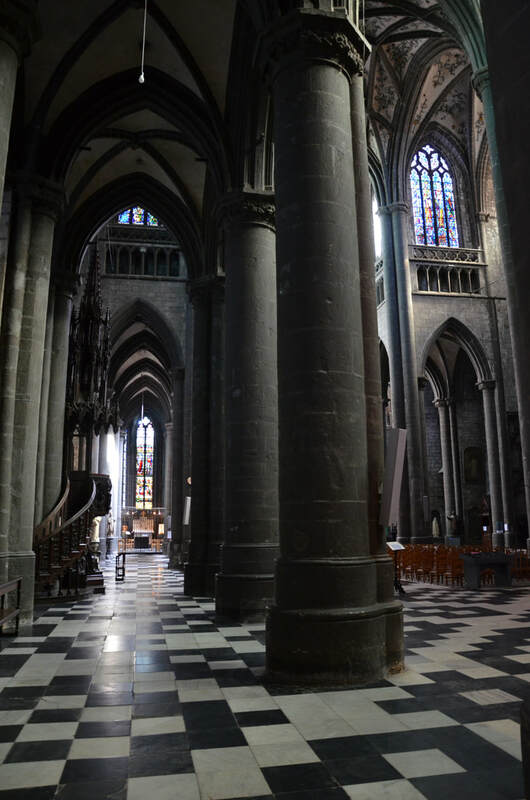 In the fifth century, the sanctuary of st. Agricole. 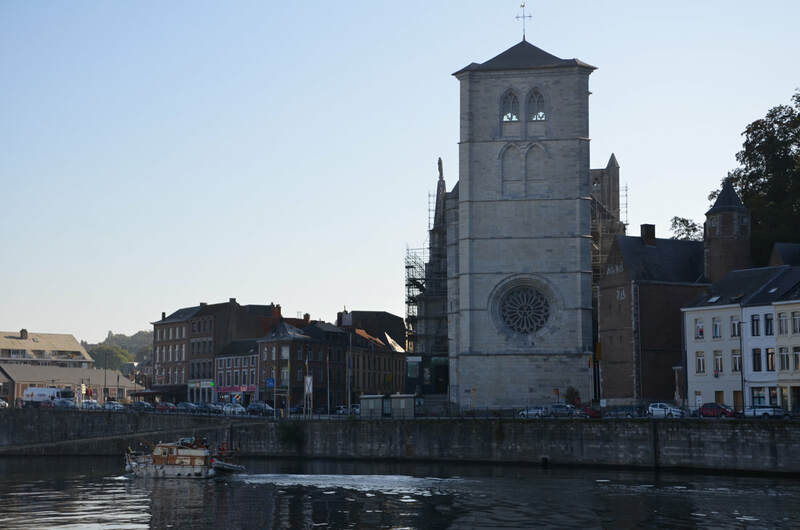 In the year 558 in the city buried st. Domitian, Bishop of Tongeren, who was proclaimed the first Saint patron of the city. In later years, the churches were rebuilt after massive fires. 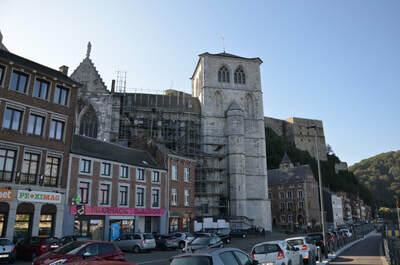 In the year 1060 bishop-prince Liege, Theodwin reconstructed the destroyed temple. 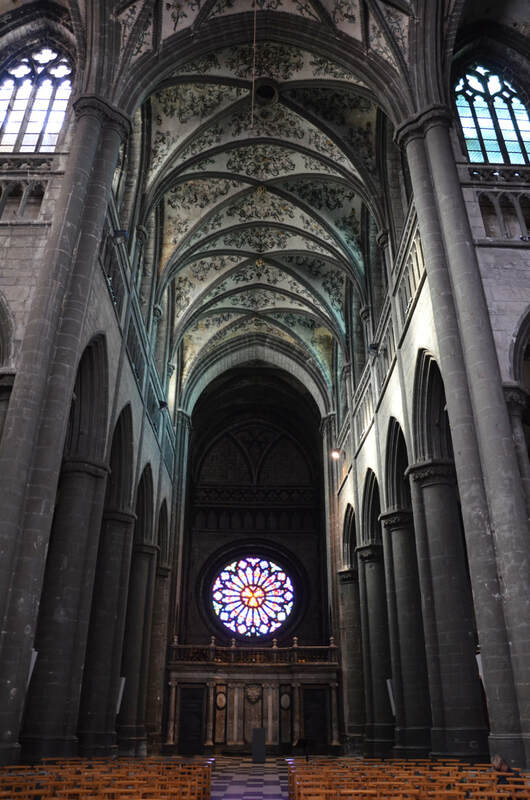 This time, however church was built of stone, in the Romanesque style. In the year 1066, as a gratitude for the help in the extension of the temple, Bishop Theodwin gave the citizens of Huy Charter of Freedom, the first north of the Alps. 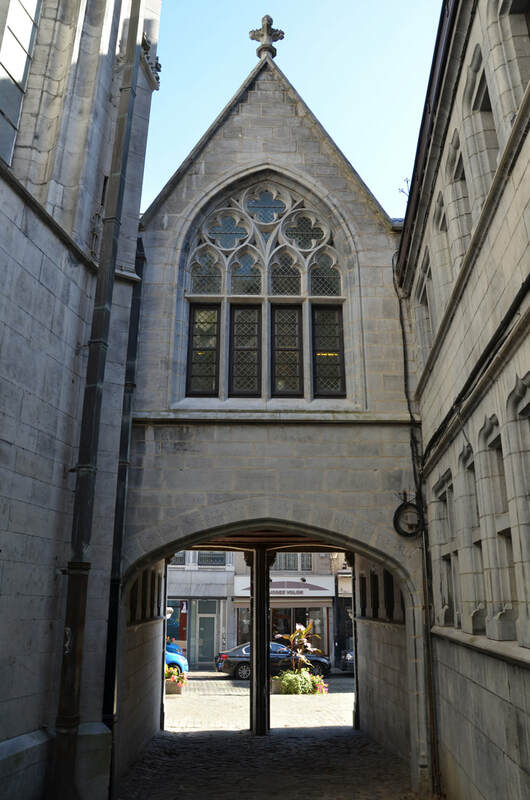 To this day, under the collegiate church, there is a crypt from that church. 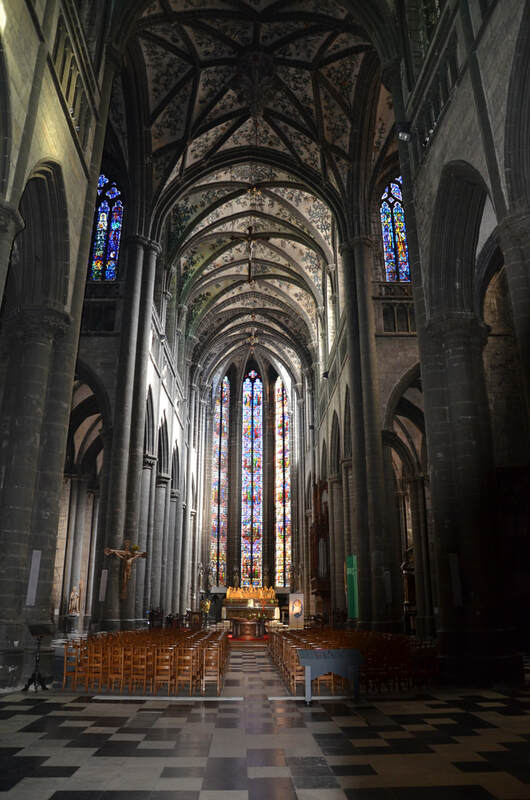 In the year 1311 the reconstruction of the church in the Gothic style began, which slowly began to replace parts of the temple in the Romanesque style. 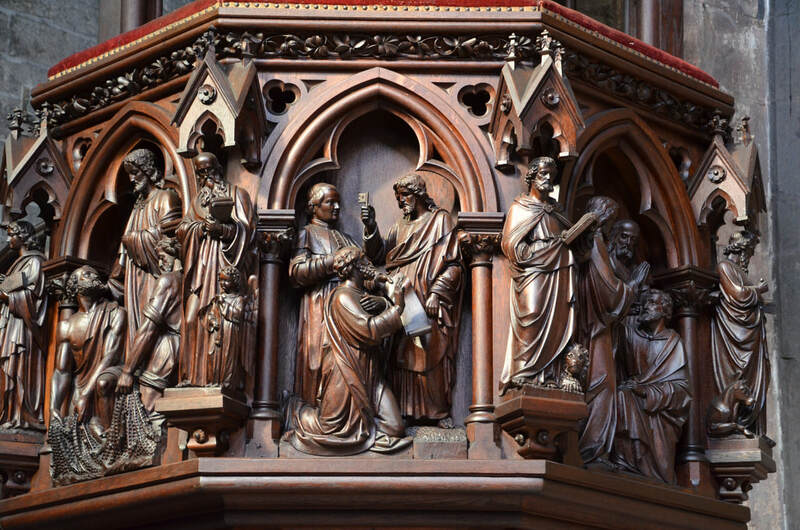 In the 1377 year, the choir was consecrated, then the transept and the great western tower were handed over. 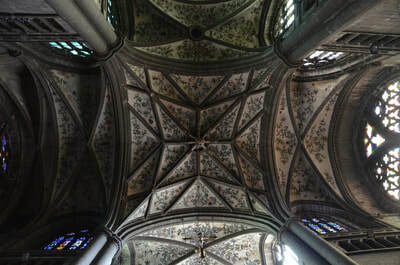 The choir's ceiling is date 1523. A word Rode was added between two crossed swords. 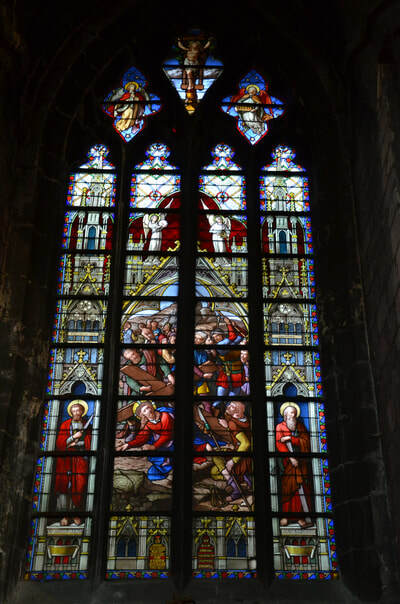 It resembles the Christian world during the heroic defense of the Rhodes Islands, besieged by the Turks. Date 1536 placed on the vault, near the tower, is the date of completion of construction. 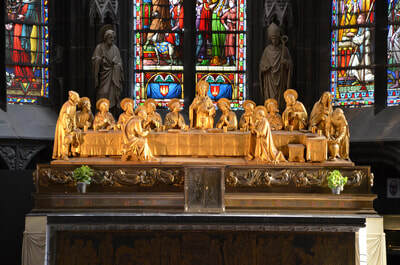 Date in the transept, close to the choir, year 1810 is the date of the restaurant of the vault. The inner dimensions of the temple are: 72 m long, 22.35 m wide in the transept, in the main nave 9.5 m between the columns and 22 m the height of the vault. 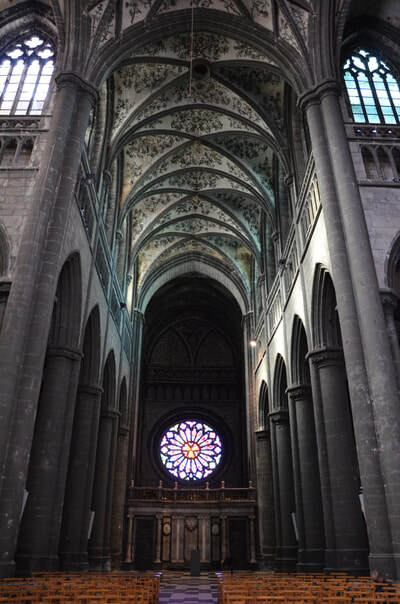 A rose window of the so-called Rondia in the massive western tower impresses with dimensions. 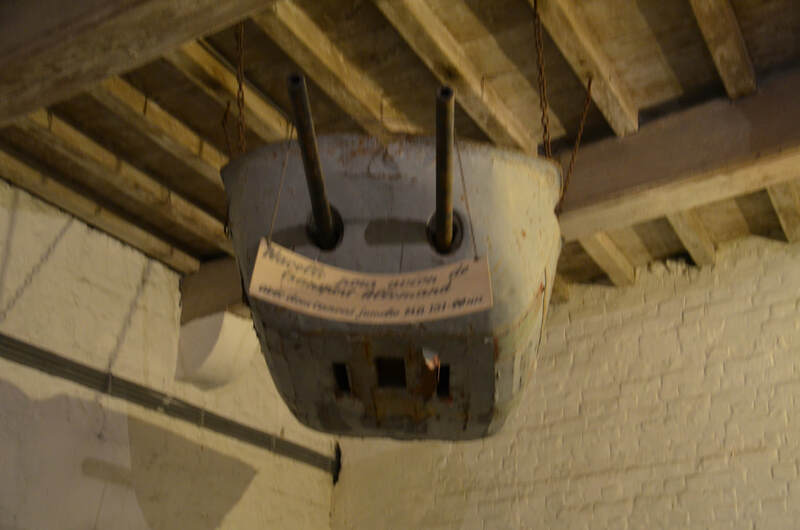 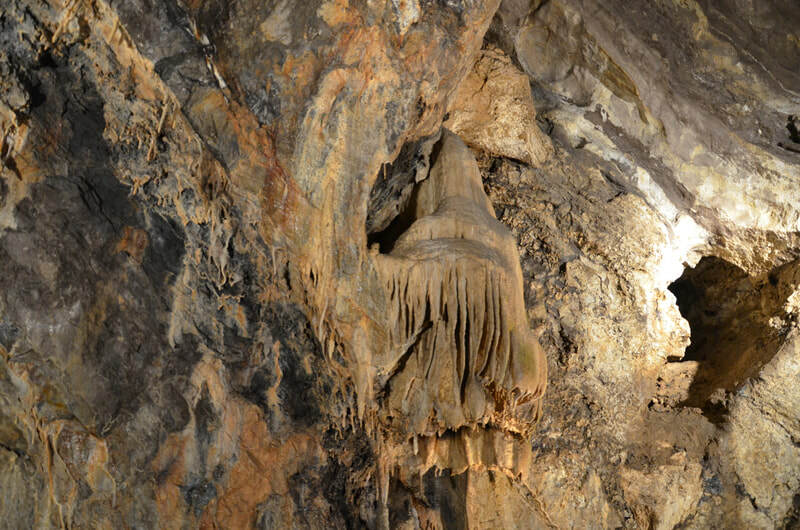 6 meters inside diameter and 9 outside meters. 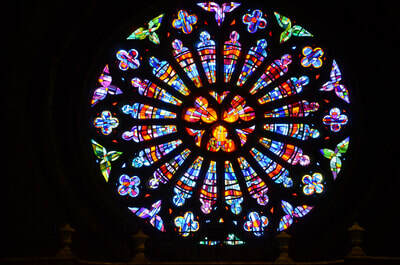 This is the largest rose window in the gothic style in Wallon. The three slender windows in the apse rise to the height of 20 meters, their stained-glass windows depict the mysteries of the Holy Rosary. The painted ceiling is a rarity in gothic churches. 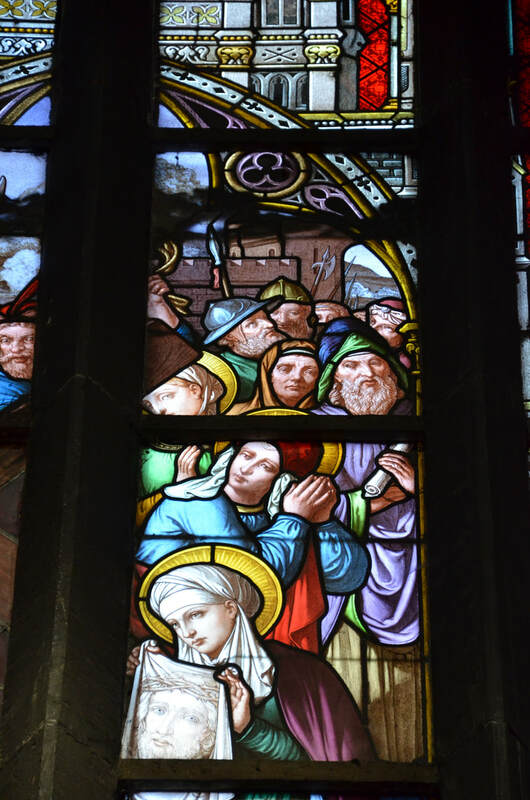 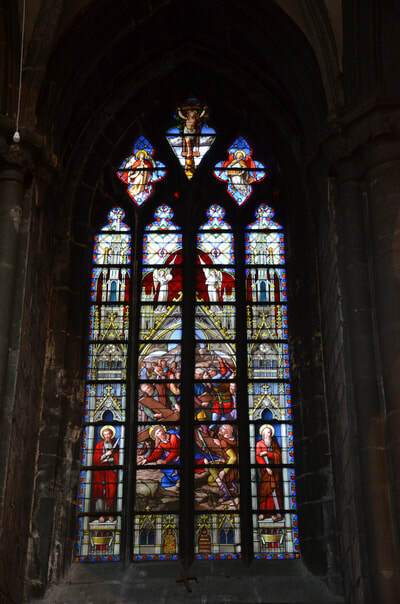 Fourteen stained-glass windows in the lower parts represent the places where Jesus rested on his way to Golgotha. 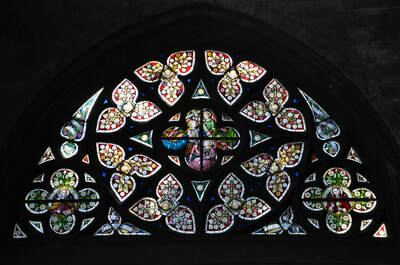 Like the stained-glass windows from the southern part of the transept, they were made in 1872-1878. 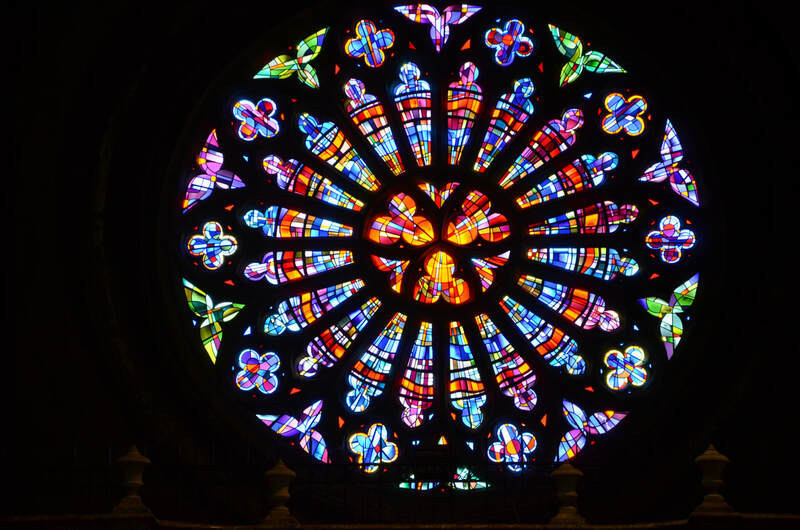 Destroyed during the bombings of the 1944 year, the large rose window was restored in a more modern style. 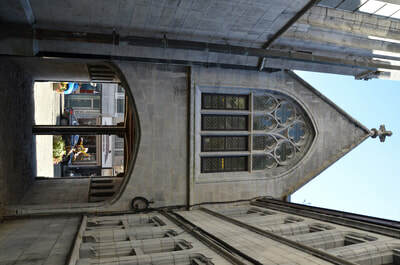 Collegiate has three towers. 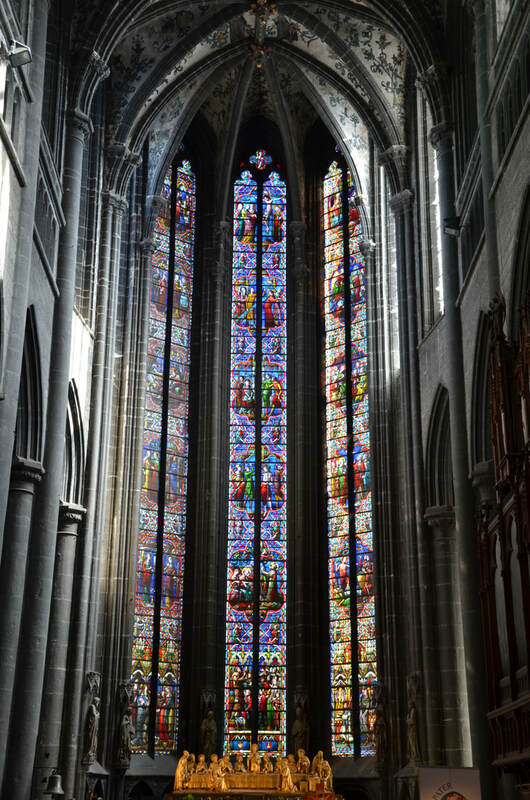 West, the so-called Westbau, with a massive rose window rises to a height of 48 meters. 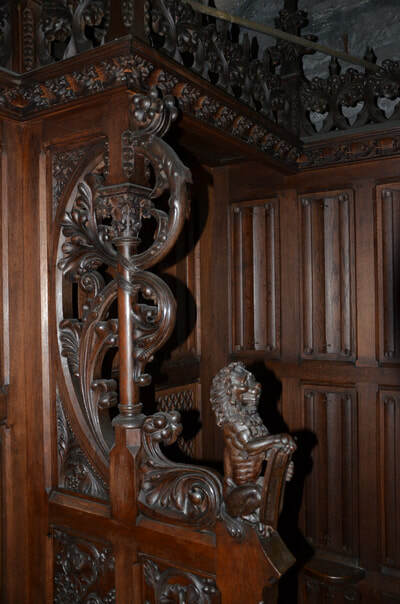 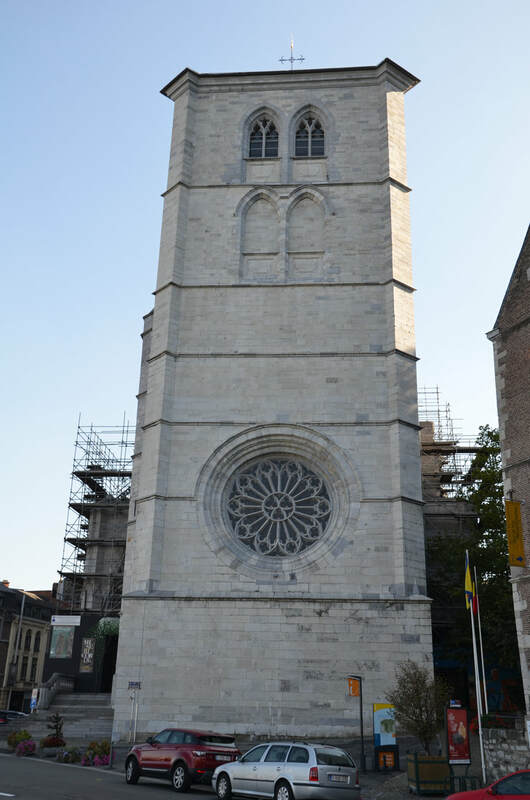 In the northern tower there is a carillon with 49 bells, one of the most magnificent in Wallon. 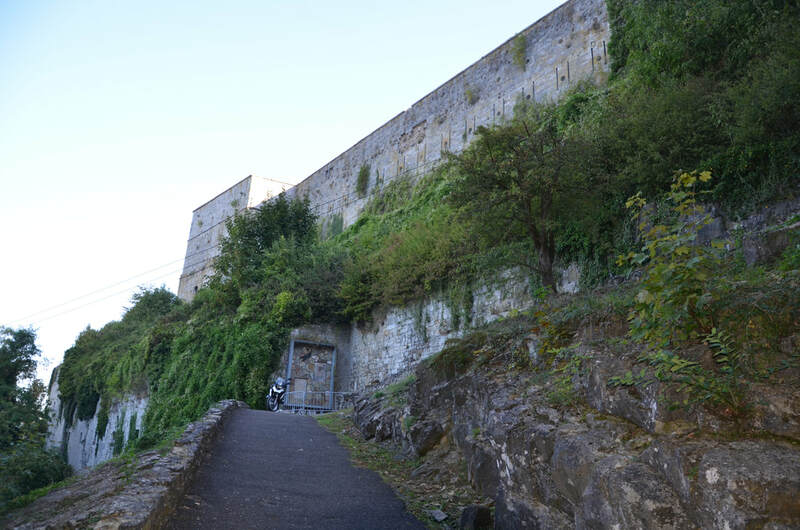 At the back of the church, attached to one of the towers, stands the gate of Bethlehem. 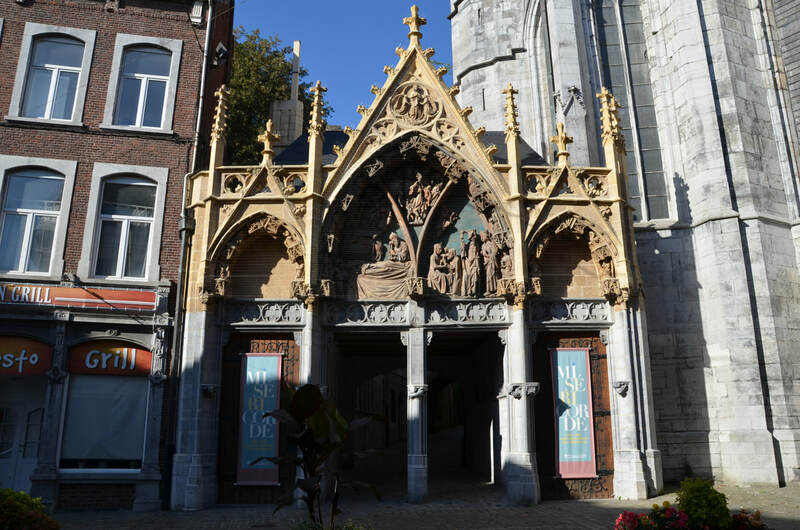 The portal was created around 1340 a year in the shape of a tympanum. 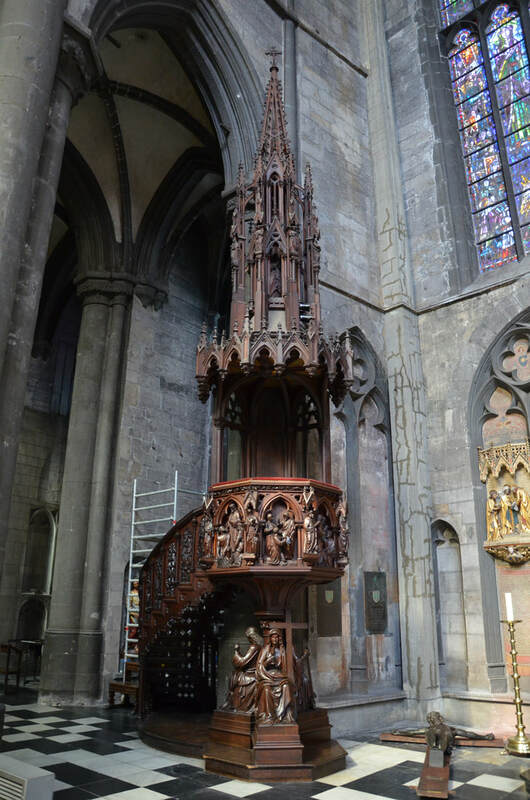 Placed over the ogival, decorated with canopy and figures. Two later ogives surrounding the portal were added in 1889-1890. 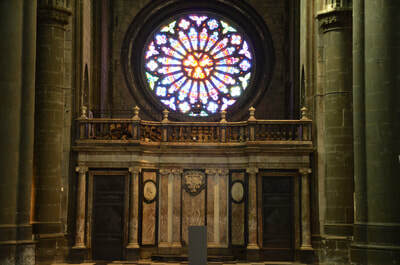 Two arched sections share the tympanum. 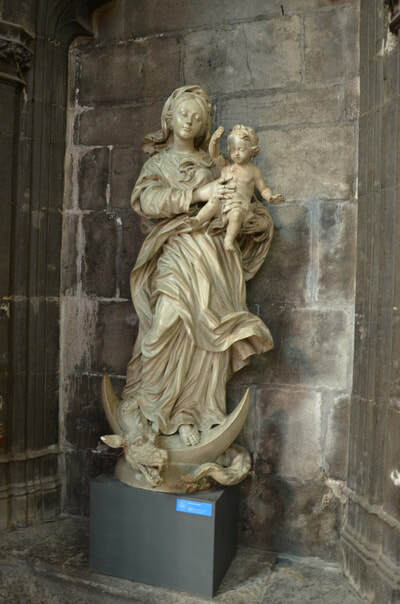 Below, on the left, the Virgin lying and holding the Child in her arms. 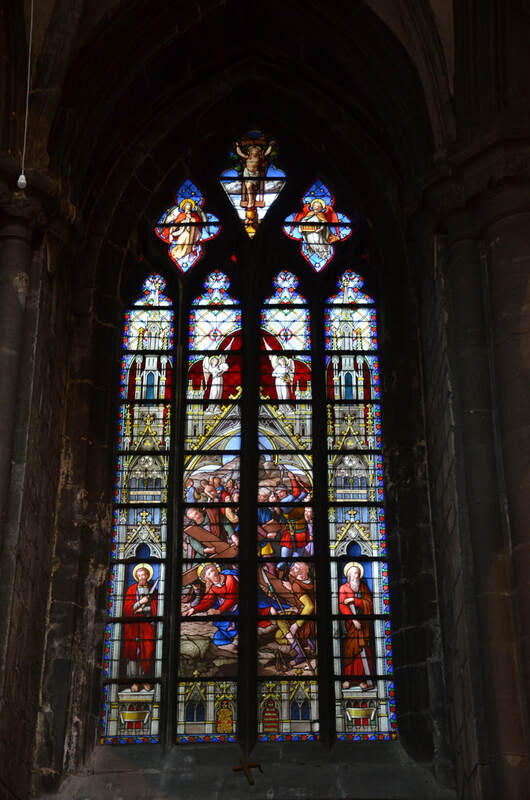 On the left, the shepherds, below on the right adoration, at the top in the middle of the slaughter of innocents. 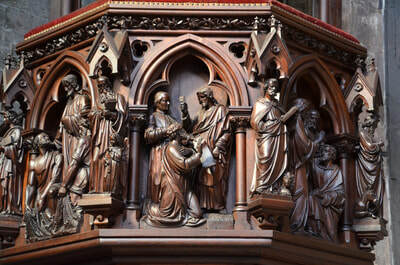 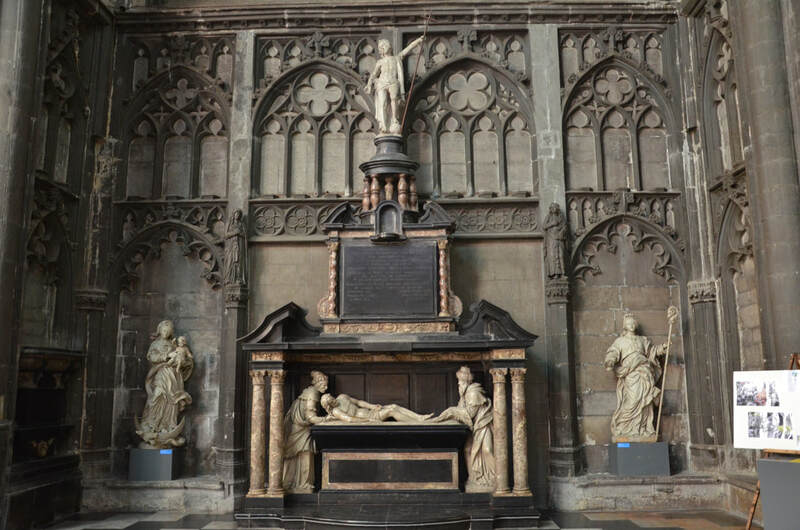 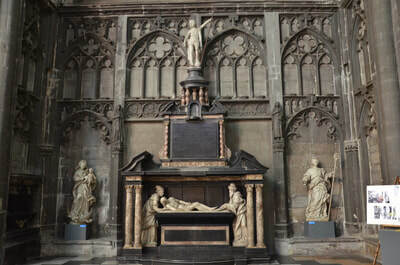 The main treasures of the collegiate church are four relics: Saint. 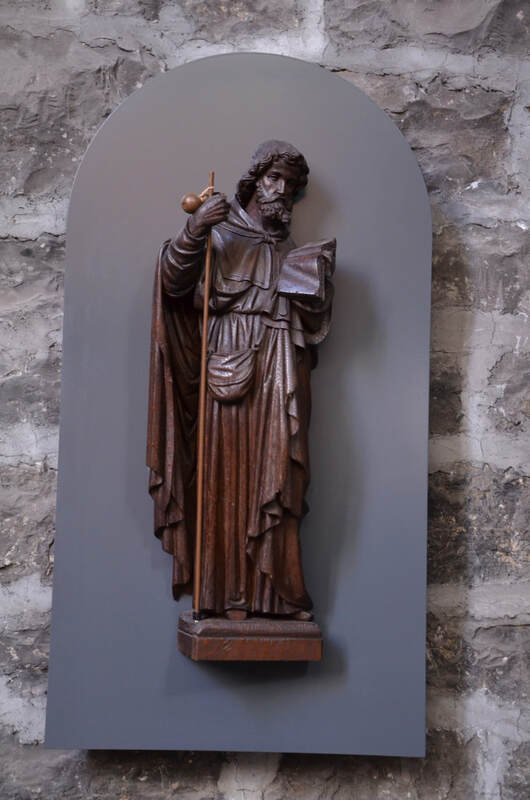 Mengold, Saint. Domitian, relic of the virgin of the 1265 year and relic of Saint Marc from around 1200 year. Enamel medallion tree of life (1160-1170), table silver from Huy and Liege, and numerous sculptures and paintings. Built by the Dutch in the years 1818-1823, in place of the existing here, until the 18th century, Tchestia castle. 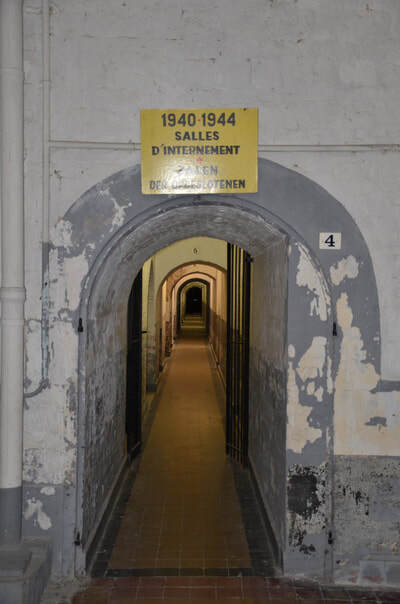 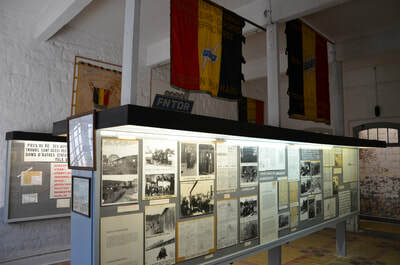 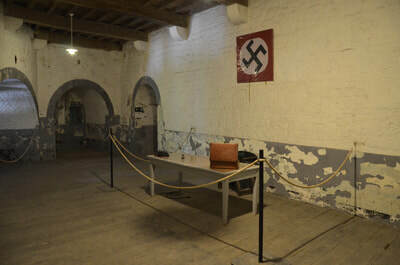 From May 1940 year to September 1944, the Germans organized a detainee camp here, in which about 7000 prisoners were kept. 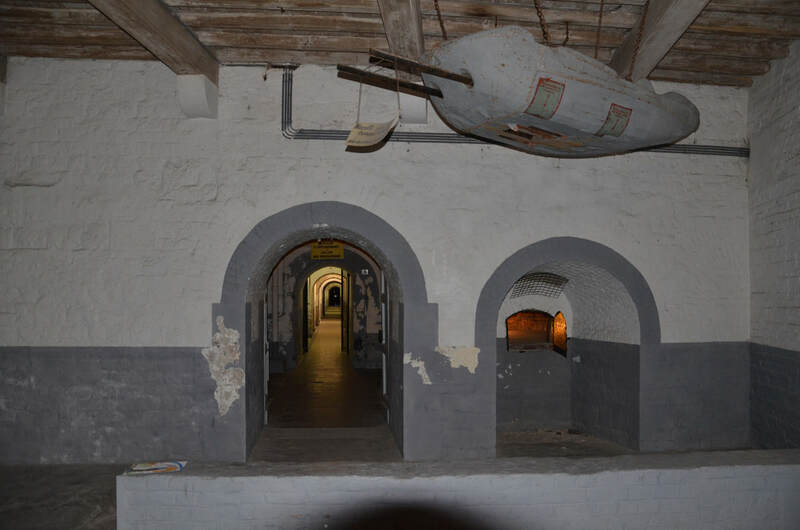 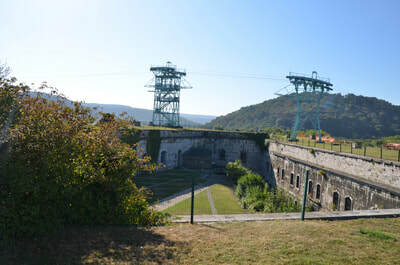 Nowadays, the citadel is a memorial dedicated to the Second World War and evidence of the existence of German concentration camps. 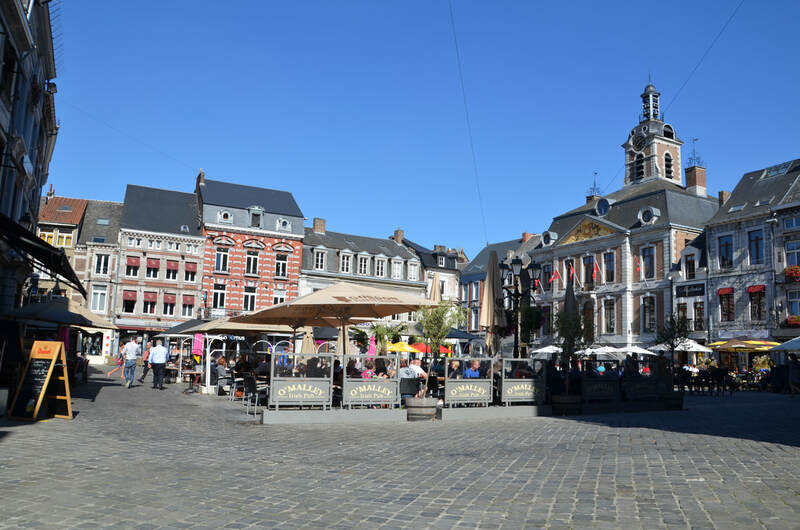 Main market full of charming restaurants and cafes is located in the center of Huy. 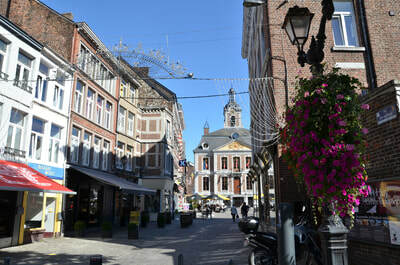 Around the square are the main monuments of the city. The town hall from 1766 year was built in the traditional Liege style, the Bassinia fountain (1406 year) is one of Huy's marvels. 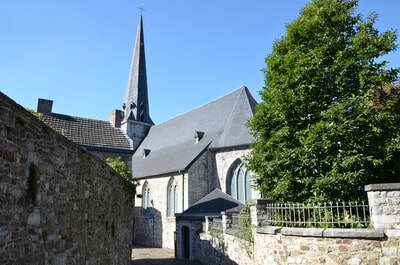 Just behind the town hall there is a desacralized church of Saint Mengold, formed in the twelfth century. 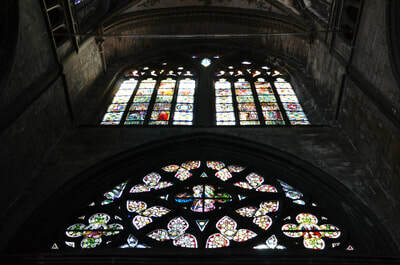 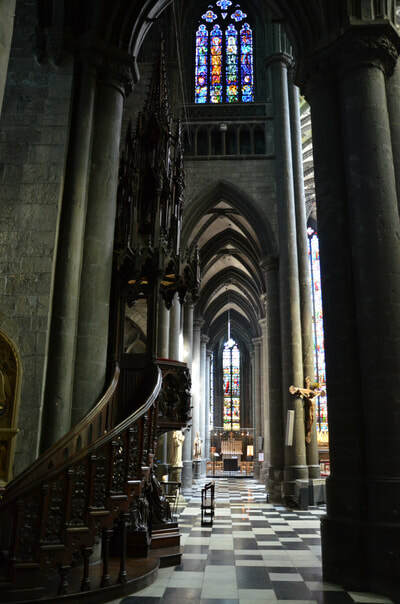 Of the four wonders Huy survived only two, the fountain of Li Bassinia from the fifteenth century and a rose window in the Collegiate of the Virgin Mary. 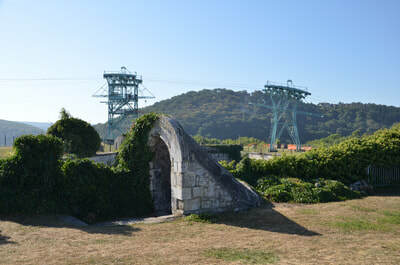 Other wonders were the bridge over the Meuse (Li Pontia), destroyed during World War II and the Tchestia castle destroyed by the inhabitants. 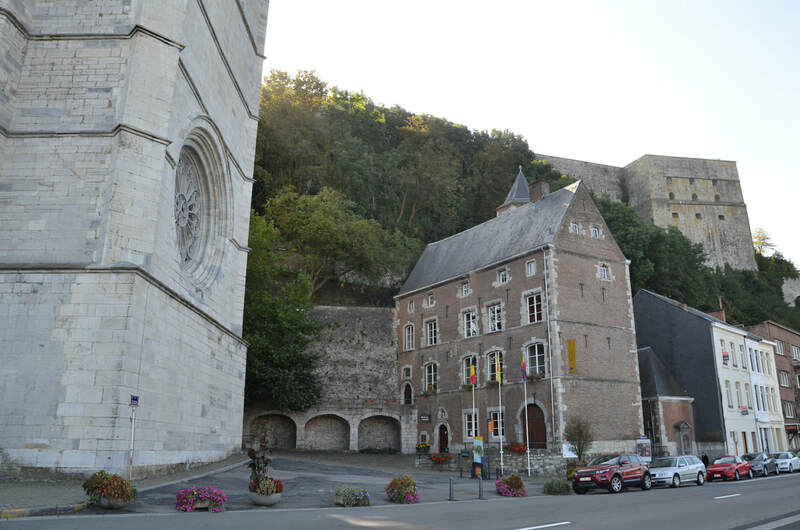 Other interesting monuments are the former Franciscan monastery (now the seat of the municipal museum) and the oldest building in the city of Maison Pres la Tour. 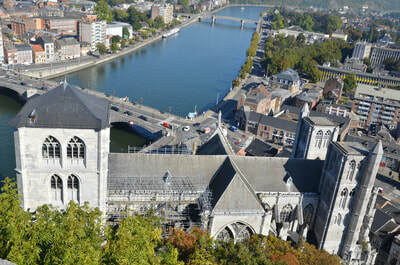 Every seven years (last 15 August 2012 year) a religious procession is organized in the city, which commemorates the end of drought which ravaged Huy in 1656 year.